GRPC performs the principal planning and programming functions of the metropolitan planning organization (MPO). Among its principal responsibilities, the MPO is required to prepare and maintain a long-range transportation plan with a planning horizon of at least 20 years; develop a short-range (four-year) program of transportation improvements based on the long-range transportation plan; and Involve the general public and other affected constituencies in developing the metropolitan transportation Plan (MTP) and TIP. 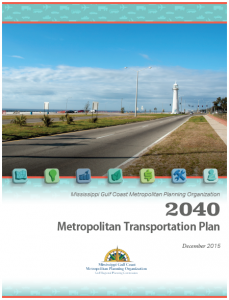 The Mississippi Department of Transportation’s (MDOT) “Multiplan” is t he statewide long-range transportation plan. The four Metropolitan Planning Organizations (MPO’s) representing urbanized areas within the state simultaneously complete long-range Metropolitan Transportation Plans (MTP) for their respective regions. These regional plans are incorporated in the statewide plan. The primary purpose of metropolitan transportation planning is to ensure that transportation planning in urbanized areas is carried out through a continuing, cooperative, and comprehensive (3-C) planning process that reflects regional needs and priorities and takes into account all modes of transportation, and is consistent with land-use, economic development and other planning activities. The Transportation Improvement Program (TIP) is a financially constraine d four-year program for addressing short-term transportation priorities that are consistent with the area’s long-range metropolitan transportation plan (MTP). The TIP allocates the limited transportation resources among the various capital and operating needs of the area, based on locally developed priorities. 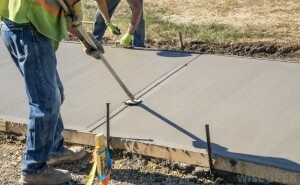 The TIP is developed and approved by the MPO and is included, without modification, in the Statewide Transportation Improvement Program (STIP) following approval by the Governor. The TIP can be modified at any time subject to approval of the MPO Technical and Policy Committees. The Congestion Management Process is a part of the Mississippi Gulf Coast MPO’s transportation planning program that serves to identify existing congestion in the study area to provide additional information and improved analysis to support development of metropolitan and statewide transportation long range plans, short range planning programs and project development. 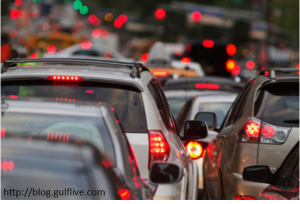 This program serves as a system wide analysis tool to identify congestion, look at the causes, and propose solutions to localized spot and corridor level congestion problems. 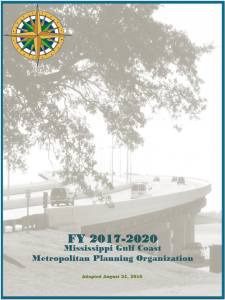 The Mississippi Gulf Coast MPO sets aside STP funds annually for the purpose of developing and implementing studies that directly support the MPO goals and objectives. Each year studies will be selected by GRPC for funding through this program. The studies are based on needs identified through the agency’s transportation planning process toward the provision of an efficient, safe and accessible transportation system for all modes. Studies considered for funding through this program include: various intersection improvements that enhance traffic flow and/or safety; projects that enhance transportation modal options (bike/pedestrian, transit, etc. ); projects that improve roadway safety; intersection analyses; corridor studies; safety audits; and others. The annual listing of obligated projects is a record for tracking the progress of projects receiving federal transportation funds. This listing is updated annually and is intended to increase public awareness of federal spending on transportation projects on the Mississippi Gulf Coast. The MPO recognizes the value of travel time for trucks considers average wages for truck drivers as well as other factors. The value of on-time deliveries are considered as the shipper of recipient will bear excess cost of late pickup or delivery. These excess costs apply to many factors including product spoilage and/or missed delivery window. 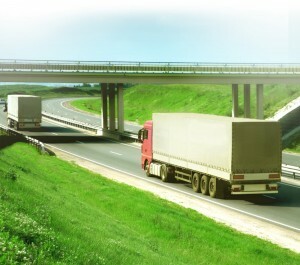 GRPC works to consider truck mobility in the MPO planning process.